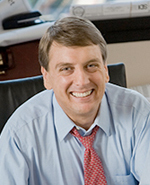 Christopher G. Hill is a construction lawyer in Virginia. He will teach about effective risk management, collection and contract drafting techniques for construction professionals, along with some practice-building advice, at Solo Practice University®. Chris is a construction lawyer at the Law Office of Christopher G. Hill, PC, author of Construction Law Musings, a Virginia Supreme Court certified General District Court mediator, and a LEED AP. Chris has been nominated and elected by his peers to Virginia’s Legal Elite for the Construction Law category on multiple occasions and was recently named to the Virginia Super Lawyers Rising Stars for 2011. Chris is also a current member of the Board of Governors of the Virginia State Bar Construction Law & Public Contracts Section. Chris practices extensively in all areas of risk management for construction professionals including litigation when required. Specific areas of practice include mechanic’s liens, payment and performance bond claims under the Miller Act and Virginia’s “Little Miller Act,” sustainable (“green”) building, occupational safety issues, construction contract review, arbitration and mediation. Chris started his own firm in July of 2010 after 13 years of extensive courtroom and counseling experience at the Virginia Attorney General’s Office and two private firms. He made the move in order to better serve his construction clients and directly meet the needs of contractors and other construction and design professionals in Virginia. The firm is a member of the Associated General Contractors of Virginia and Chris is a member of the national AGC Contract Documents Committee where he gains insight and input into the drafting of nationally utilized form contract documents, and and the Marketing Forum where he helps the AGC maximize the marketing and business potential for contractors. Thank you for your interest in Construction Practice 101. Unfortunately, law schools do not regularly provide the practical basics for a successful construction law practice. While much of it builds on the relatively arcane legal principals taught in first year property courses, the nuts and bolts of how to draft a contract and how to keep a construction client out of trouble are rarely, if ever, covered. I hope that you will sign up for this course and find its content practical and germane to your construction practice (present or future). Contract advising to avoid or simplify the use of the construction collection techniques provided in part 2. A bit about the growing “green” construction trends and the legal implications of them. The course “materials” will be what you bring to the table as well as what I will distribute and post to the forums here at Solo Practice University. All of this discussion will take place against the backdrop of the following question: How do I get a client and grow my construction practice? Without the basic answers to this question, all of the rest is fairly irrelevant. Without clients or a way to bring them in the door, knowledge of the law and the best practical guidance will not help you to make money and succeed. I will share my successes (and failures) in marketing my practice and also be seeking your insights into how you have marketed your practice. I hope that this course will become a fun and interactive give and take on the legal aspects of construction law and the practical aspects of bringing in and assisting clients to further your practice and your client’s business needs.